It is important to follow both brands even if it is just a few days before the Wenger knives will get the Victorinox stamp. The two brands got a long history between them. 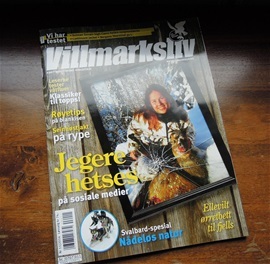 On the picture you can see some of the magazines that got importance, in Villmarksliv number 10 2011 the SwissTools did it well. 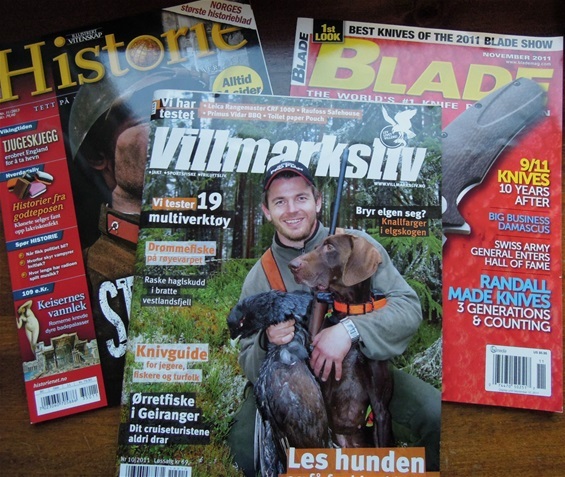 In Blade magazine November 2011 you can read about Carl Elsener the third (1922-2013) that entered the hall of fame. The article in “ Illustrert Vitenskap Historie” number 11 2013 got an article with importance and show the Victorinox Workchamp model. The Wenger Giant knife is also mentioned in this article. Victorinox Inox Watch did a very good test. I have tryed to follow the development of the Victorinox brand of Watches and it was really no surprise. We know the Victorinox Company is celebrating a 130 year anniversary.The history of watches started in the late 1980s and today this Brand is a known to be a high quality product. For samlere i Norge så anbefaler jeg dette bladet pga den gode testen og for utviklingen av kvalitet. Vi vet jo at lommekniver og profesjonelle kniver er hva som de aller fleste kjenner til. Ur har og representerer idag en ny utvikling. Historien med ur startet på slutten av 1980 tallet. Victorinox er idag et selskap som satser på mange ulike produkter på grunn av sikkerhet og utvikling. Det er nevnt flere ganger fra sjefen at det representerer en fare med å kun ha kniver som produkt. Det så man jo enkelt etter 2001. Victorinox er på full kurs mot målet som er et globalt merke. Noe som man egentlig ikke skulle tro var mulig. In Villmarksliv nr 11 2014 there is a little information regarding the Victorinox RescueTool. I can add that the RescueTool became the knife of the year 2007. This knife was very innovative and it represents a special milestone for SAK enthusiasts and it has become one of the most famous 111mm liner-locking type services range knife. In the world of knives and the competition it can be very difficult to produce a knife that can be known internationally in such a way. If I should mention one of the core values by Victorinox on this knife it would be the quality. All the values are represented but the quality is the one that is the key and I will explain why. We know from history how the services range or larger knives for professional use and the philosophy of use. With this knife Victorinox did show exactly in a video and information before on this safety rescue tool. The quality on a knife for professional use must be higher than normal! My information is that the 111mm for professional use got an origin from the early 1990s and today this category is preferred also by the active civilian. All locks are to prevent accidental closing only. The RescueTool is a special purpose tool for rescue work. I Villmarksliv nr 11 2014 er der skrevet et lite stykke om RescueTool. Jeg kan tilføre at den ble årets kniv i 2007 og var en veldig innovativ kniv som representerer en milepel for SAK entusiaster og er kanskje en av verdens mest berømte 111mm liner-lock type tjeneste kategori kniv. I verdens kniver og konkurransen er det vanskelig å konstruere eller lage en kniv som blir kjent internasjonalt på en slik måte. 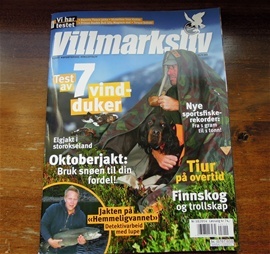 Om jeg skal nevne en av merkets sine verdier så er det kvalitet som utmerker seg sterkest. Alle verdier er der men kvalitet er ekstra her og jeg skal fortelle hvorfor. Vi vet fra historien om kniver for profesjonelt bruk og filosofien. Med denne kniven så viste Victorinox eksakt i en video og informasjon på forhånd om RescueTool. Kvaliteten på en slik kniv må være høyere enn normalt for å tåle en slik behandling! 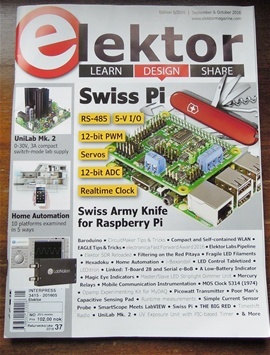 In the September and October 2016 Elektor magazine it is an interesting article on the Raspberry Pi. Over the years I have seen many articles and comparisons from many magazines and situations with products that should have the same versatile abilities as a SAK. The Swiss Army Knife is a symbol of versatile and multi-purpose abilities and every company or Brand that wants to display a product with these abilities and qualities use the best ambassador “the SAK” for such. I have seen many articles that want to display an electronic device, computer or internet product with the icon of a SAK or a shadow drawing of one besides it. In some it is used a red handled one without the Swiss Emblems or Victorinox name. In the pictures in Elektor there are no doubt that the Raspberry Pi computer is compared to the original Victorinox Swiss Army Knife with its emblem and partially tang stamp. It is also used a knife from the Ibach collection called the Victorinox Handyman. I must look deeper into this for sure to learn and read! I like it! The Raspberry Pi computer is very small and compact. It is a quality device that is versatile. The design of it and function is high technological innovation. The Raspberry Pi can be improved with additional functions. It is easy to compare it to a 91mm Officers knife I would say. It is a long time since i have read schematics and I have forgotten much, it was relieving to retreat and focus on the text in the article. The schematics of the Swiss Pi hat and the Swiss server software fit perfect into my impression of the article. I can only talk about the reason for why a Victorinox product is mentioned and designated such in this magazine. It is a bit too advanced for me to follow the electronic functions anyhow. I would need a year in school for the best understanding. I have doubts they would allow me anyhow. My impression of the magazine is top notch. The Swiss Army Knife is a symbol of Switzerland and when the word Swiss is mentioned and you have functions then the distance is not long for using a SAK. In this case there is more to it that said. I did some research i i believe i have found some very interesting information about The Raspberry Pi and in the Guardian.com it was also mentioned that it was sold to Swiss Dätwyler. Now everything fit into the puzzle because I knew there was more to it with a double understanding. This takes things into a new set of situations. I know now why the Victorinox handyman is displayed so clearly. It is a double meaning like I had the feeling it was. I highly recommend the magazine if you are into computers and electronics. 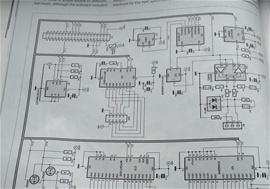 I am amazed by the high standard of Elektor magazine. It is enough on the subject. 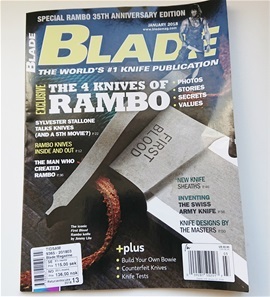 In Blade Magazine January 2018 there is a large article on the Swiss Army Knife. It is well worth reading.